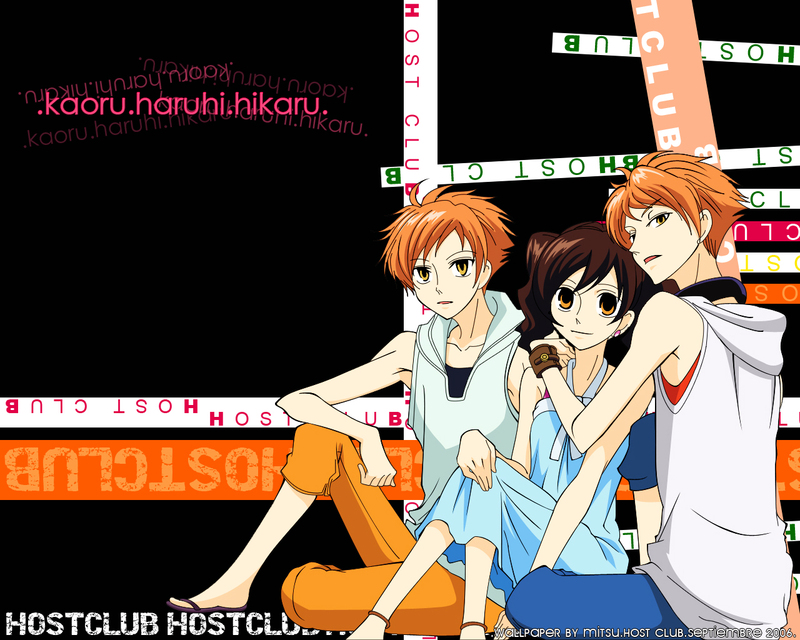 Ouran High School Host Club Wallpaper: .kaoru.haruhi.hikaru. Minitokyo »	Ouran High School Host Club Wallpapers » Ouran High School Host Club Wallpaper: .kaoru.haruhi.hikaru. Wow, I like it. Sure, it is simple but simple is good every now and then. I like the images you used. I like the twins myself! Simple? Nah. Sometimes the simpleness can outrule a complex one. Haruhi does a girl. It is drawn carefully. ohh! i really like this one! so nice! Nice.... aw, Hikaru looks so protective/posessive. love this cloup *w* !